Our team is obsessed with rings and all things jewelry. So, we decided to take a step back and think about how it all began… where did the age old tradition of wedding rings start, and how did cultures first make them? Long, long ago in Ancient Egypt, reeds and papyrus were meshed together and braided to create rings as a decorative ornament. Every shape has a symbol, and a ring is in the shape of a circle because it symbolizes eternity: no beginning nor end. The hole in the circle, or ring, stands for a gateway leading into other things, almost like a door leading into another room. The Egyptians caught on that these materials were not going to withstand eternity, and they eventually started using bone, leather and other material. How fashion forward of them to accessorize their romance. The more expensive the material was supposed to stand for more love of the receiver. The Romans used rings less as a romantic symbol, and more like symbolic ownership over another person. 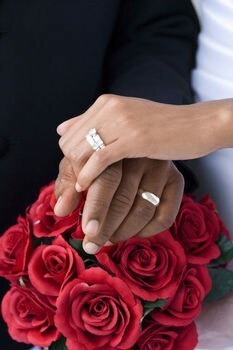 In the 800s, Christians began using rings as a religious symbol of binding spouses together. Where Should I Wear My Ring?! So, why do we wear rings on different fingers? Each finger symbolizes love, responsibility, character, authority or intelligence. There is also an astrological association with the planets, for all you whom follow horoscopes. We think that the most interesting part about the history is how far these rings have grown into a statement piece in an outfit. 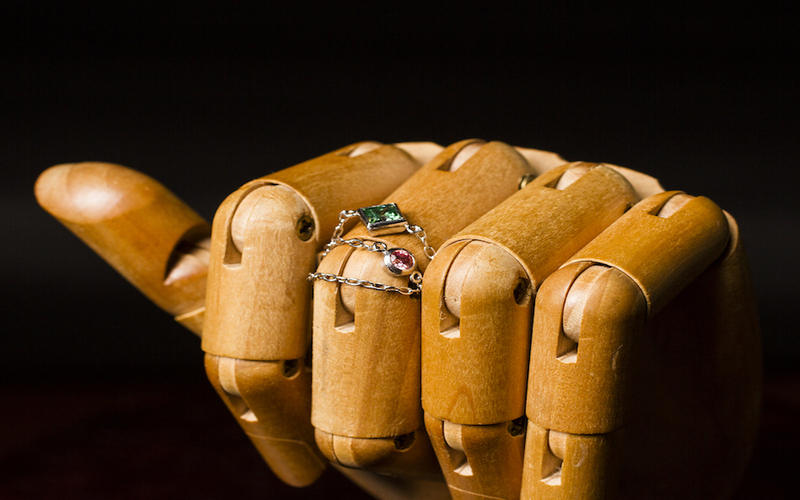 With the discovery of new materials came the different shapes and ways we wear rings in our everyday ensembles. Who knew that a tradition from over 4,000 years ago could have so much influence on how we choose accessories. In different geological areas, different materials were more popular or sacred. Since the purpose of rings are evolving, the trends with different stones and metals are constantly changing. This creates even more variety for you to choose from! Rings and Earrings and Necklaces, Oh My! The same affects on ring evolution has transformed earrings and necklaces, as well! Why settle for one ring, when there are so many new materials and ways to wear jewelry? That is the great part about a Wrap Ring: it is the perfect combination of trendy and timeless. Even when other jewelry trends go out of style, our rings will stand strong on your ring finger of choice! Check out our another blog post on inspiring ensembles to learn more about styling and where our interests have come from!